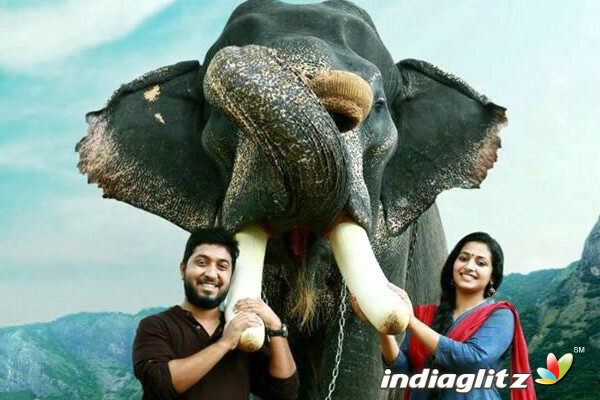 Vineeth Sreenivasan, Anu Sithara starrer 'Aana Alaralodalaral' will hit theatres on December 22. Touted to be a village-based social satire, 'Aana Alaralodalaral' features Anu Sithara and Vineeth Sreenivasan in rural characters. Interestingly, the movie is centered on the major character of an elephant. Scripted by newcomer Sharath Balan, 'Aana Alaralodalaral' will also feature several popular actors, including Mamukoya, Vijayaraghavan, Anandam fame Vishak Nair, Suraj Venjarammoodu, Dharmajan Bolgatty, Hareesh Perumanna and many others in the supporting roles. Produced by Siby Thottupuram and Navis Xaviour under the banner of Poetry Film House, the movie's trailer was released recently. As the trailer promises to be a fresh jumbo tale, audiences are already excited to watch the flick.